Mothers just can't seem to catch a break! According to a new study, mothers are often made to feel guilty about the way they feed their children, no matter what they choose. It seems that no matter how hard mothers try, and no matter what they do, they’ll always be subjected to guilt tripping. According to new research from the University of Liverpool, mothers experience guilt and stigma and often feel the need to defend their feeding choices, whether they breastfeed or bottle-feed, Science Daily reports. The researchers asked over 1,600 mothers with infants up to 26 weeks old to fill out an online survey with questions about their experiences feeding their babies. Unsurprisingly, formula-feeding moms felt more guilt. The researchers found that 67% of formula feeding mothers felt the guiltiest, while 68% felt stigmatized, and 76% felt that they needed to defend their feeding choice. Breastfeeding mothers were less likely to experience these negative emotions, but they still occurred from time to time, especially with mothers who practiced mixed feeding. These mothers often received pressure from their family members, and also reported feeling stigma from breastfeeding in public. Mothers who started out exclusively breastfeeding but stopped and mothers who had planned on exclusively breastfeeding during pregnancy were most likely to end up feeling guilty. “Women who breastfeed feel stressed about neglecting the rest of the family and other obligations, whereas women who do not breastfeed feel a sense of guilt about feeding their child something sub-optimal,” researcher Sophia Komninou explained in a media release. Fellow researcher Victoria Fallon went on to say that the ‘breast is best’ message has done more harm than good. “We need to be very careful of the use of words in future breastfeeding promotion campaigns,” she said. On the next page: why we should stop pressuring mothers. In an article for The Independent, Komninou and Fallon wrote that society makes it difficult for women to breastfeed. Well-meaning family members play a part here, as they could recommend formula to help the baby settle, or say that the partner should help with feeding to give the mother a break. And when women read stories of mothers being harassed when breastfeeding in public, this can only add to the discouragement and anxiety. Komninou and Fallon also said that the “breast is best” campaign may have done more harm than good. 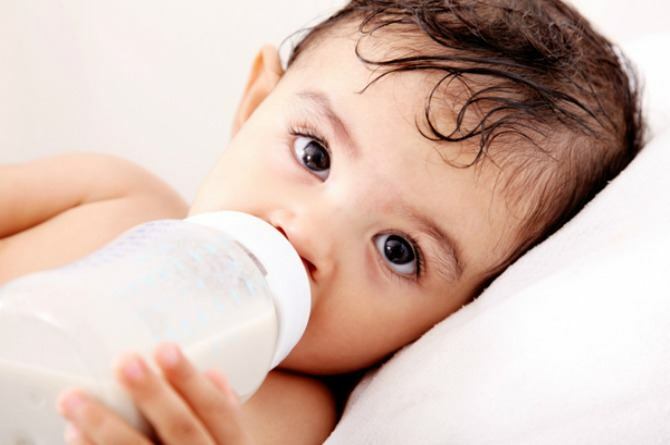 The slogan was conceptualized to communicate the benefits of breastfeeding, but mothers who eventually have to feed their baby formula often feel guilty and alienated. This is why formula-feeding mothers are also less likely to seek advice from health professionals—why go when you know you’re only going to be shamed for your choices? By not getting professional advice, mothers can end up putting their child’s health at risk, as formula needs to be prepared carefully. They can also make uninformed and dangerous decisions like making homemade formula, introducing solids early, and even food deprivation. “Breastfeeding has profound and long-lasting health advantages, but the risks of poor maternal well-being run just as deep,” Komninou and Fallon wrote. Pressuring mothers to breastfeed for a set period of time could even discourage them from breastfeeding in the first place.